In an effort to continue to bring you the best coverage for all high school sports in the state of Florida, Floridaprospects.com is proud to announce this year�s version of our Recruiting Diaries. In the Recruiting Diaries, Florida Prospects chronicle the recruiting process through the eyes of a Florida athlete. We will provide weekly updates on what it�s like being a top recruit. From different phone calls to coaches we will live the recruiting process through him. This year, Florida Prospects is proud to announce that we will have two athletes who will be participating in our recruiting diaries. The athletes that will be participating in our Recruiting Diaries are the following. 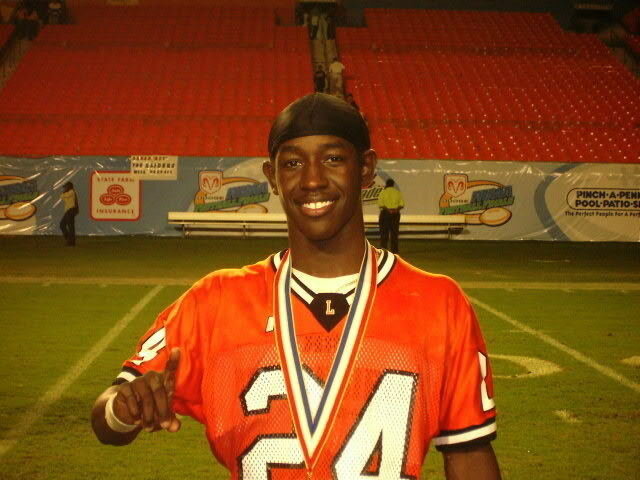 Amhad Black Defensive Back from Lakeland High- Black is a top 30 player in the state for the class of 2007. He stands at 5�11 185 and should be one of the most highly recruited defensive back in the state. Raishawn Wilson Running Back from St. Augustine High- Wilson is an elite running back standing at 5�10 195lbs. Last year Wilson was a key component on the Yellow Jackets state championship team. This upcoming year plans to be a great year for the state and Florida Prospects is proud to have the following athletes for our Recruiting Diaries. We hope that this feature will help future prospects in their pursuit of playing football at the next level.